This offers learners the chance to make mistakes without real-world repercussions. 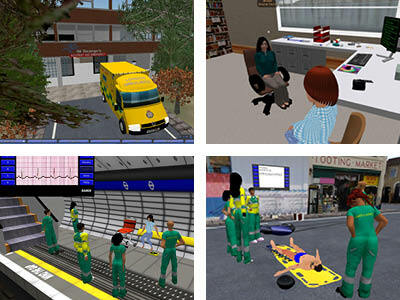 Develop, deliver and test PBL scenarios within Virtual Worlds for existing healthcare programmes. Ensure that the innovation and implementation is user guided at development, testing and evaluation stages. Provide materials that will enable others to build and develop further work. PREVIEW was a project carried out in collaboration with Coventry University, Daden Limited, Kingston University and St George’s, University of London.